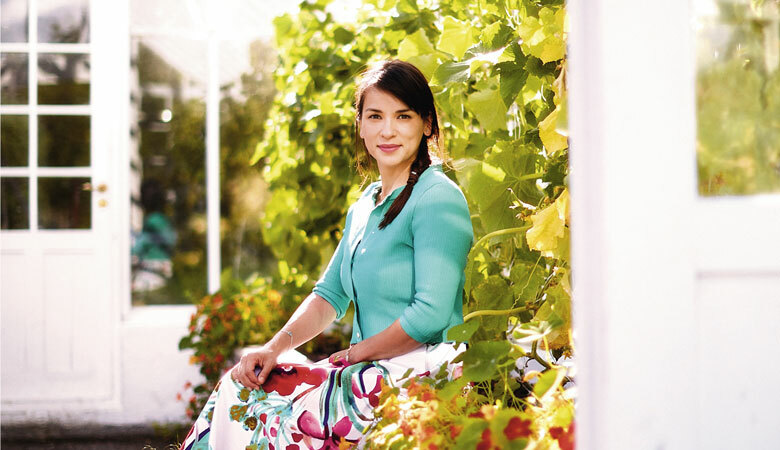 Rachel Khoo is used to challenges. Her latest one is learning to speak Swedish in her new home in Stockholm. Hence, her latest book The Little Swedish Kitchen. Talented and charismatic, Rachel is Regarded as much a fashion icon for her bright, colourful, flowing dresses, as she is an accomplished cookbook author and TV host. Born in London to a Chinese-Malaysian father and Austrian mother, Rachel graduated with a degree in art and design from Saint Martin’s College. But her love of food took her to Paris, where she enrolled in Le Cordon Bleu to learn all things pastry. She had the brilliant idea of turning her tiny apartment into the smallest restaurant in Paris, with seating for just two. The hype grew. A cookbook featuring her versions of French classics was released in 2012. Then a worldwide smash TV series. Her reputation as the ‘new Nigella’ was sealed when The Little Paris Kitchen was translated into French – a huge honour for any foreign chef. Her second TV series saw Rachel relocate down under for Rachel Khoo’s Kitchen Notebook in Melbourne and while she was here, she co-hosted Zumbo’s Just Desserts, earning plenty of plaudits despite the show bombing with critics. She has released her third book, The Little Swedish Kitchen, which is again so successful with the locals that it is being translated, this time into Swedish. And now she’s learning the language. One step at a time. To read the full story, pick up the latest issue of Selector Magazine at newsstands from Nov 7.